The challenge this week is Textures! I LOVE playing with all kinds of textures. 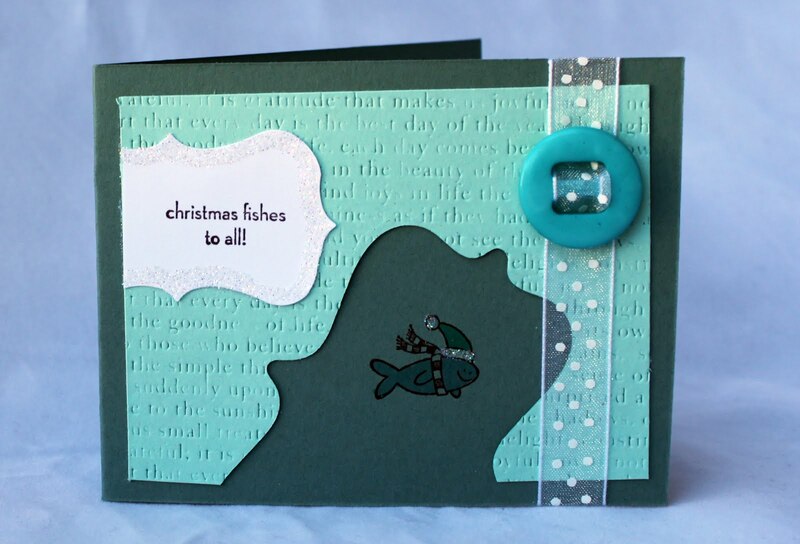 For my first card I was inspired for a coastal Christmas card with my fabulous texture May Arts ribbon. It reminds me of sea grass or a net in the sea. I started off with some Kraft card stock (PTI) and ran it through my Sixxix with a swirl emboss. 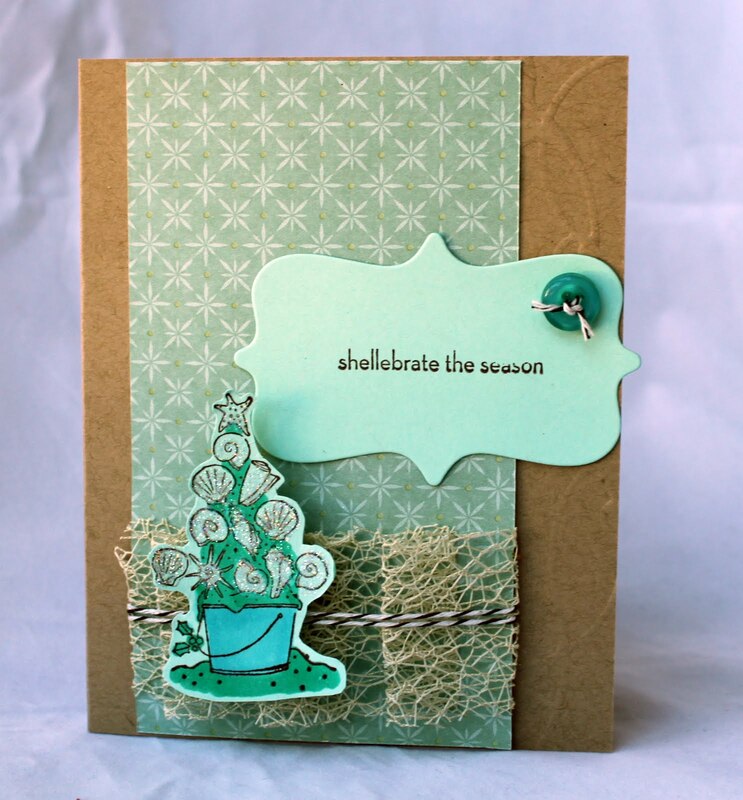 Then I used some Stampin Up designer paper to pull all the colors together. 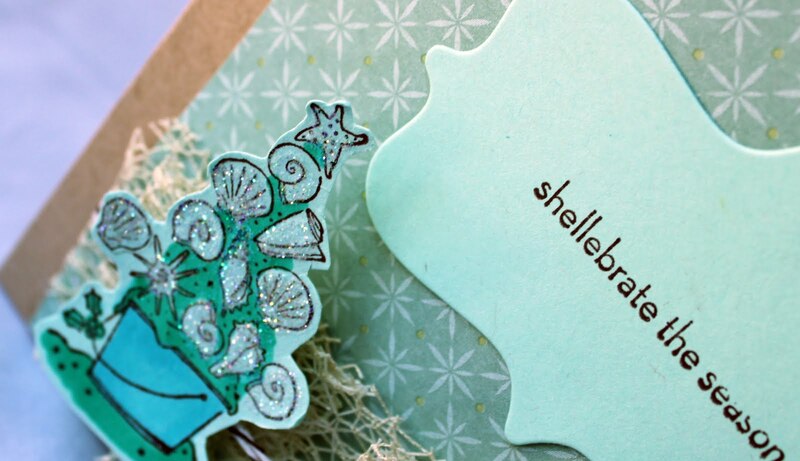 I stamped the cute sea sentiments from an old SU stamp set and colored with copics to match. I finished the card off with some clear glitter and applied it with a Martha Stewart Glue pen. 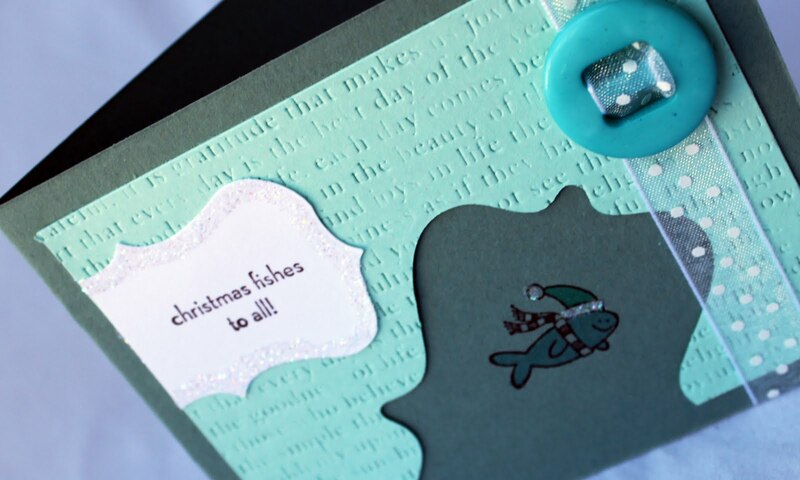 For my second card I used some more dry embossing with a Papertrey Ink die. I love this depth the paper creates since it was actually just a scrap from the first card! I am all about using every piece of card stock…save the planet baby! These are fabulous, Kerrianne! I, especially, love the first one! Oh! And your new header is AWESOME! Both are great, but LOVE the texture on that first one Kerrianne! BOTH are super fun and cute but I REALLY like how on the second one you die cut part of that label and put he fish in the space! FAB! THESE are sooooooo much funnnnnnnnn! Gosh, I was sorry to hear the EBTKS girls had to shut down. I can only imagine that running a bi-monthly or more regular challenge must be grueling… I never got to play as much as I wanted, but I sure loved it when I did! These cards are completely drool-worthy! XOXOXO!